Michigan's lawmaking prodigies have proposed an amendment to the state's income tax code that would allow pregnant women to claim their 12-week or older fetuses as dependents. Which is sort of a cool idea, until you consider the fact 1- this is just another not-super-under-the-radar attempt to redefine what a person is to include nonsentient fetuses and erode women's ability to control their own bodies and 2- just last year, the same party that's working tirelessly to help make sure fetuses are getting the tax code recognition they deserve pushed to eliminate the Earned Income Tax Credit, which applies to actual children, thus proving the theory that anti-abortion Republicans truly give zero fucks about babies once they've actually been born. And as we witnessed on November 6th, is the sort of thing that plays super well with the electorate in 2012. Dependent includes a fetus that has, as determined by a physician, completed at least 12 weeks of gestation as of the last day of the tax year, and that has been under the care and observation of a physician since at least 12 weeks of gestation. 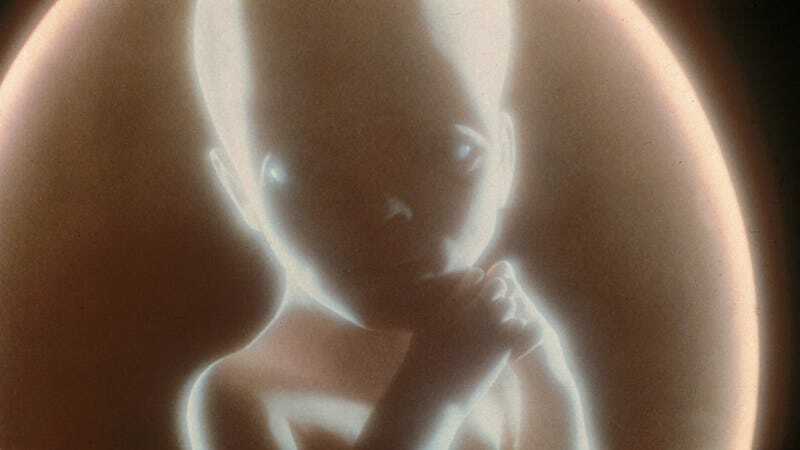 For the purposes of this section (A) "fetus" means an individual organism of the species homo sapiens at any time before complete delivery from a pregnant woman. Don't spend it all in one place, fetuses. Despite the fact that a nonpartisan organization has determined that defining Michigan's ladydwellers as dependents will cost the state a cool $5-10 million per year, the ever-budget and jobs-conscious GOP has decided to press on with the inevitably doomed bills, wasting time and taxpayer money in the waning months of 2012. This week, a group of Senate Republicans introduced legislation that would wipe out the credit, which took effect in 2008, and provides a refund equivalent to 20 percent of the federal Earned Income Tax Credit. Gov. Rick Snyder, who views eliminating such breaks as less of a tax increase and more of a spending cut, has called for regular examination of tax breaks. This isn't about women at all. Once again, anti-abortion rights lawmakers are trying to lay the legal groundwork for restricting abortion rights. If a 12-week-old fetus is a dependent, then why is it legal for a woman to choose to end her post-12-week pregnancy? GENIUS! The "we care about women" charade from the GOP is starting to get embarrassing. Like they're Wile E. Coyote, ordering stupid crap legislation from Acme or Americans United for Life, and abortion rights are the Roadrunner, meep meeping along as the Coyote accidentally blows himself up dozens of times with Personhood bombs that backfire. But in the end it's kind of entertaining. And it's certainly not increasing anyone's electoral prospects. So, keep digging, Michigan GOP. This is fun to watch.